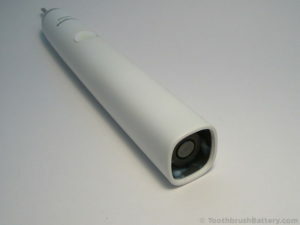 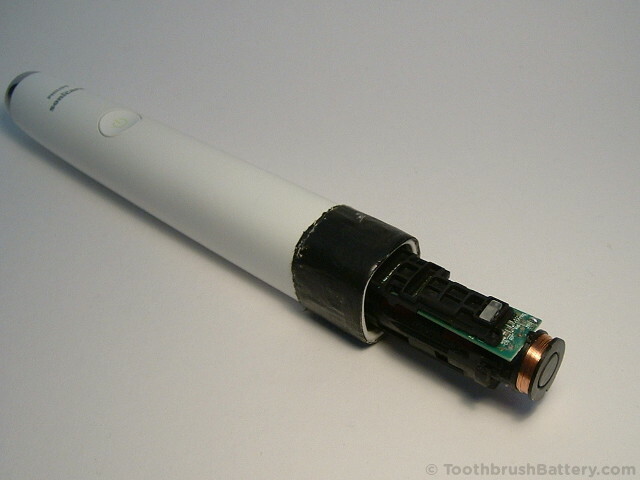 This guide will take you step by step through how to dismantle the Philips Sonicare DiamondClean HX9340 electric toothbrush and replace the internal rechargeable battery. 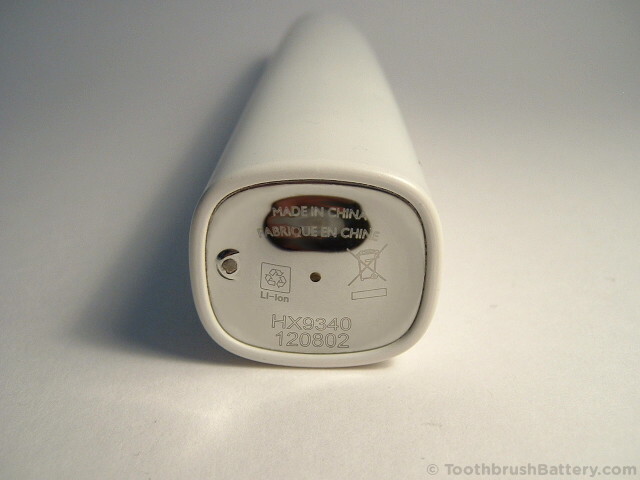 The tutorial is based on the white HX9340 model but is applicable to other HX9300 series models including the black, purple and pink versions such as the HX9330, HX9350, HX9360, HX9370 and similar. 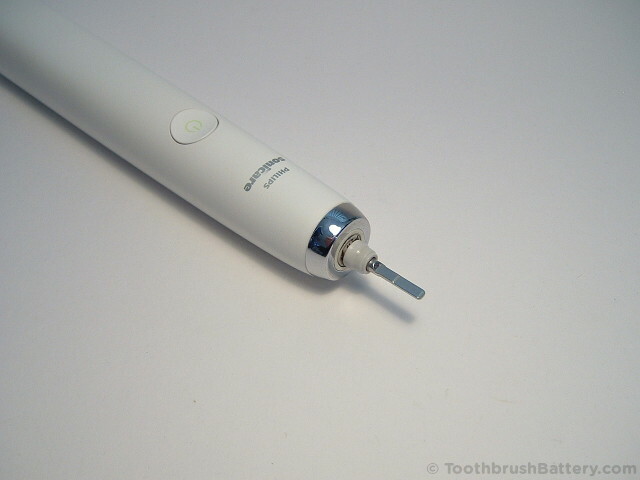 The model number of your Sonicare toothbrush is marked on the bottom of the handle. 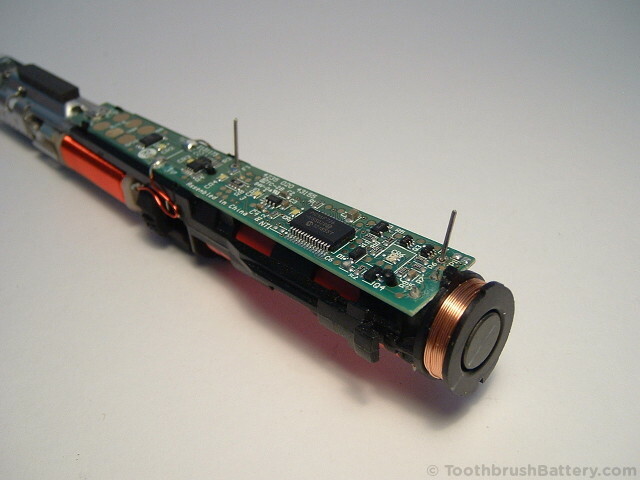 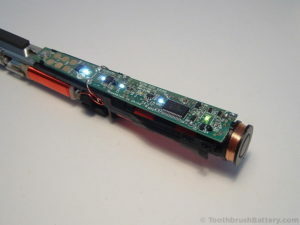 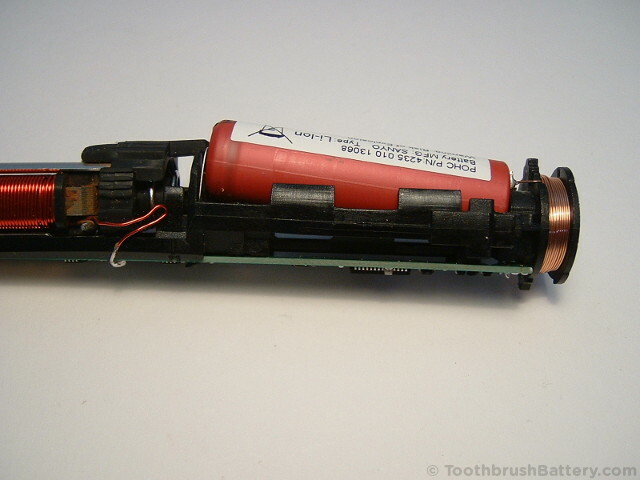 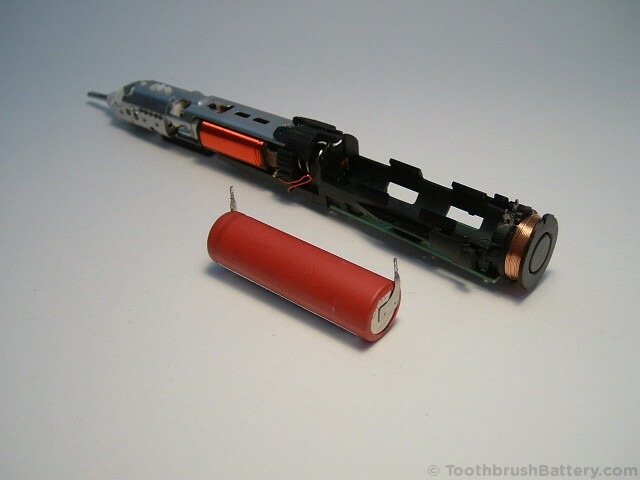 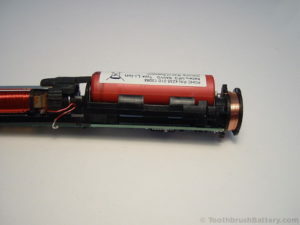 For other toothbrush models the battery replacement procedure is slightly different so please see our other guides to toothbrush battery replacement instead. 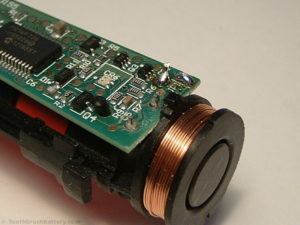 This is documented in detail below along with lots of pictures. 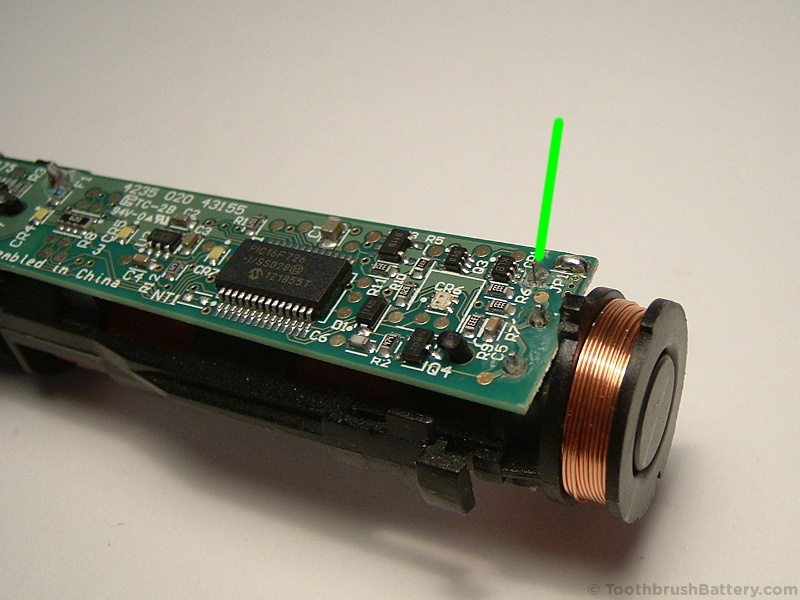 Click on any picture to enlarge it. 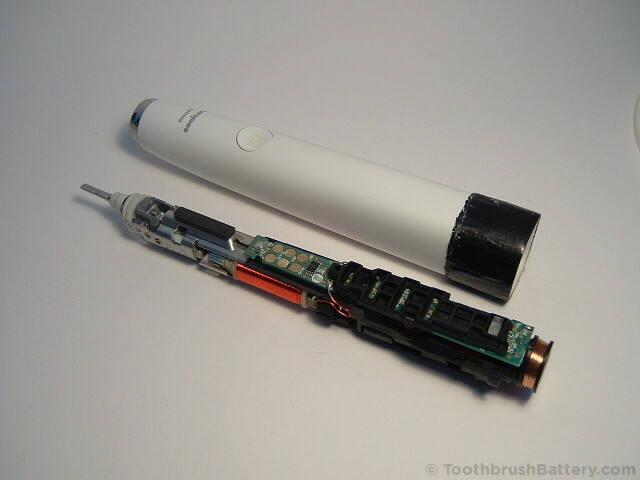 Any damage to yourself, your toothbrush or anything else is entirely your responsibility. This guide is for professional, educational purposes only and is offered without guarantee or liability. 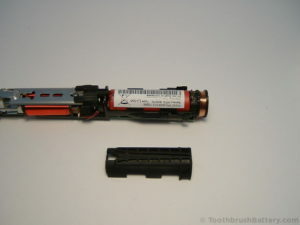 Warning: Lithium-ion batteries are volatile and if shorted or overheated they will go into thermal runaway and ignite creating a severe burn hazard. 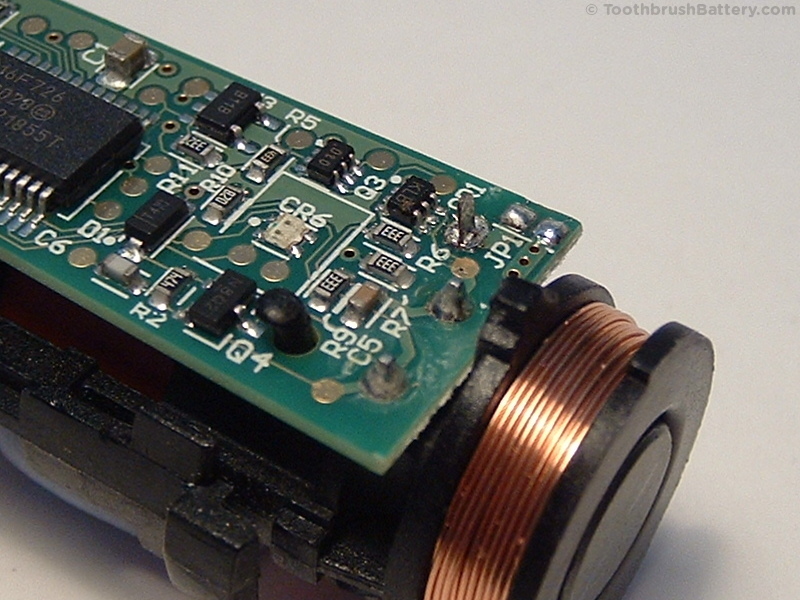 Do not short-circuit, disassemble, crush or expose contents to water. 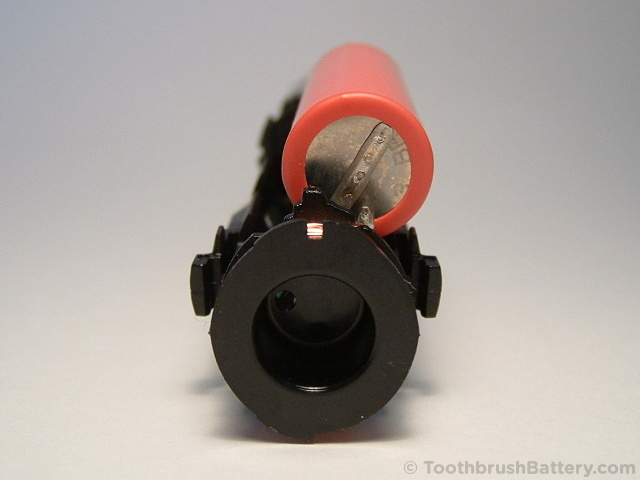 Lithium reacts violently in water like Sodium and Potassium did in those science experiments at school! We have also created a short video on our YouTube channel from this guide to Philips Sonicare DiamondClean battery replacement, which you can also watch below. 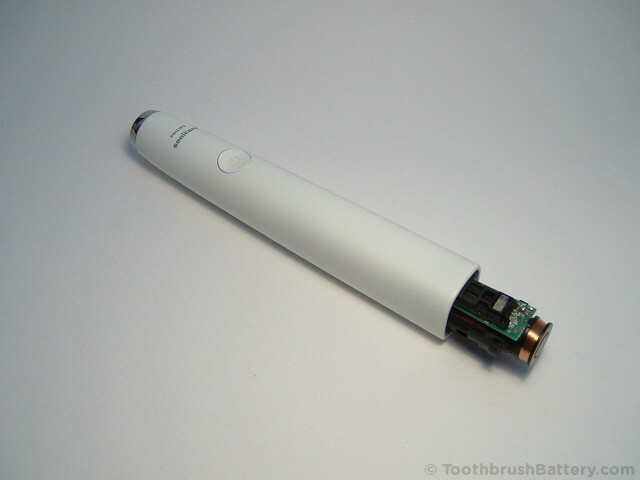 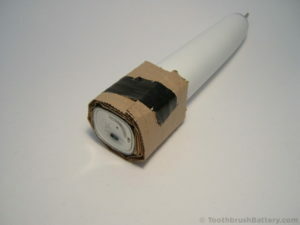 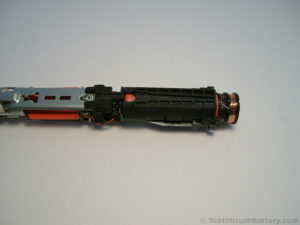 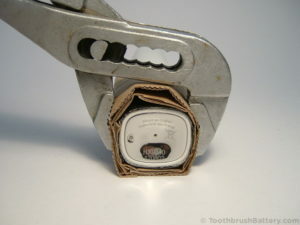 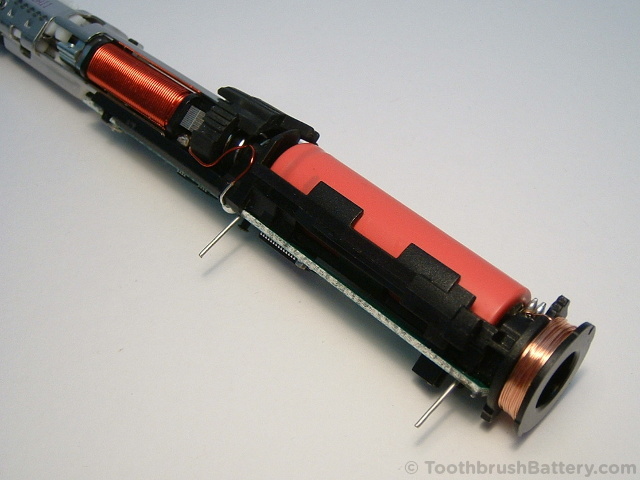 Replacement battery: 49mm by 14mm 3.7V Lithium-ion (Li-ion) with wire pins available from ToothbrushBattery.com. 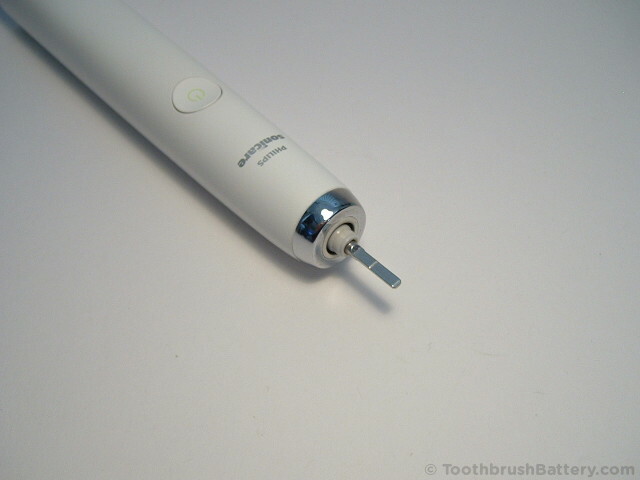 To start with, remove any brush heads from the top of the handle. To soften up the plastic of the handle you can stand the toothbrush in a cup of hot tap water (about 60 degrees C or 140 degrees F) for 5 minutes before starting. 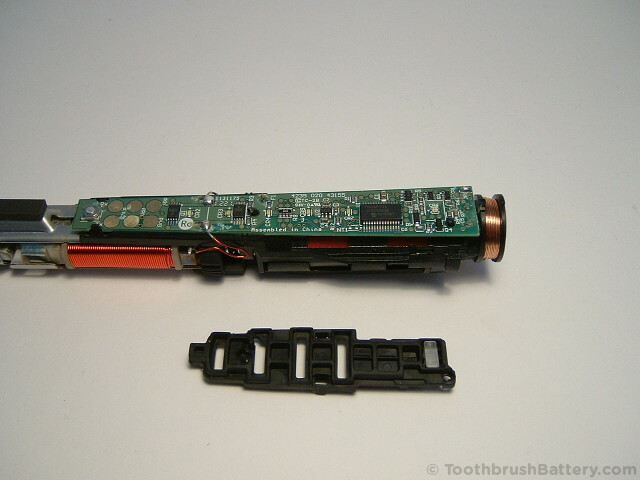 This should make opening it up easier as the internal clips should flex more easily. 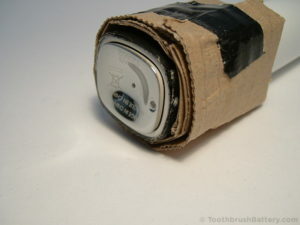 Tear off a strip of duct tape about 15cm (6 inches) long and stick it around the circumference of the handle right at the bottom, up to the edge. 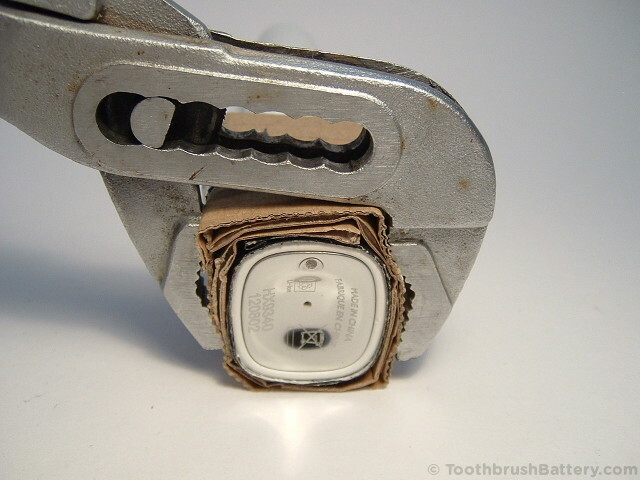 Cut two pieces of cardboard the same length and width as the duct tape and wrap both over the top of the duct tape. Fix them in place with another piece of tape. 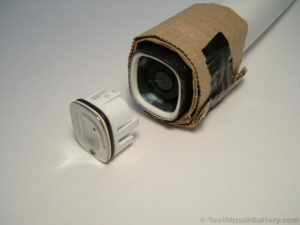 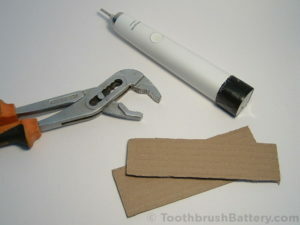 Together the cardboard and tape will protect the toothbrush handle from damage by the grips. Place the grips right up to the bottom edge of the handle and squeeze the handle firmly across the widest part of the base. Release the grips, rotate the handle a quarter of a turn then squeeze the grips again. Keep releasing the grips, rotating the brush by a quarter of a turn and then squeezing with the grips until the base cap pops out a few millimetres. 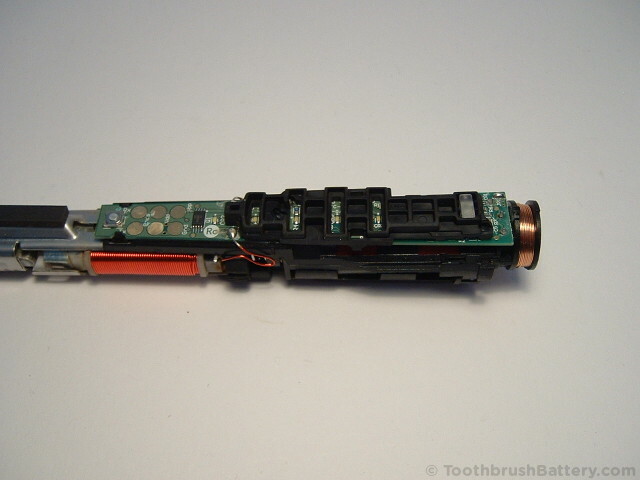 You can then lever the cap out with the screwdriver. 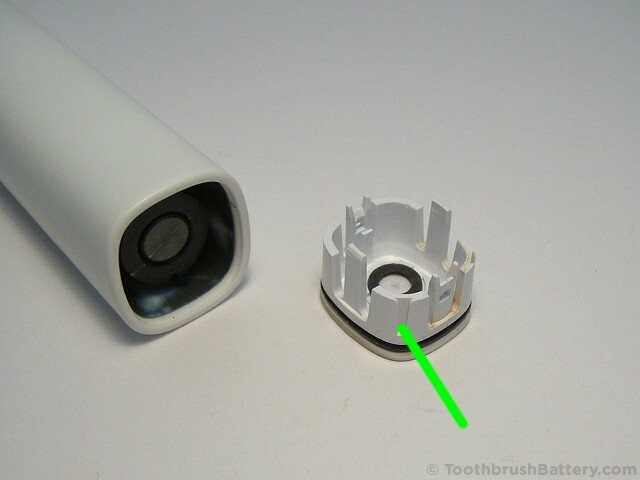 There are two black plastic tabs holding the workings of the toothbrush in place by engaging on the inner wall of the handle casing. 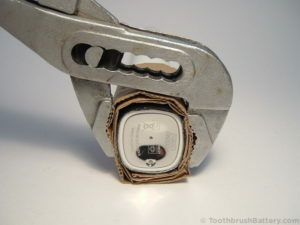 These tabs can be released by poking down inside the casing using the small screwdriver and moving them away from the inner wall of the handle casing (arrowed below). 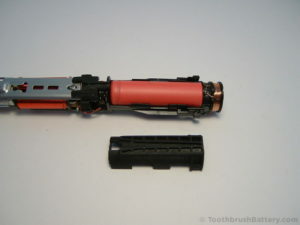 Also see below the sneak preview of the dismantled toothbrush with a plastic tab arrowed so you can see what you’re releasing. 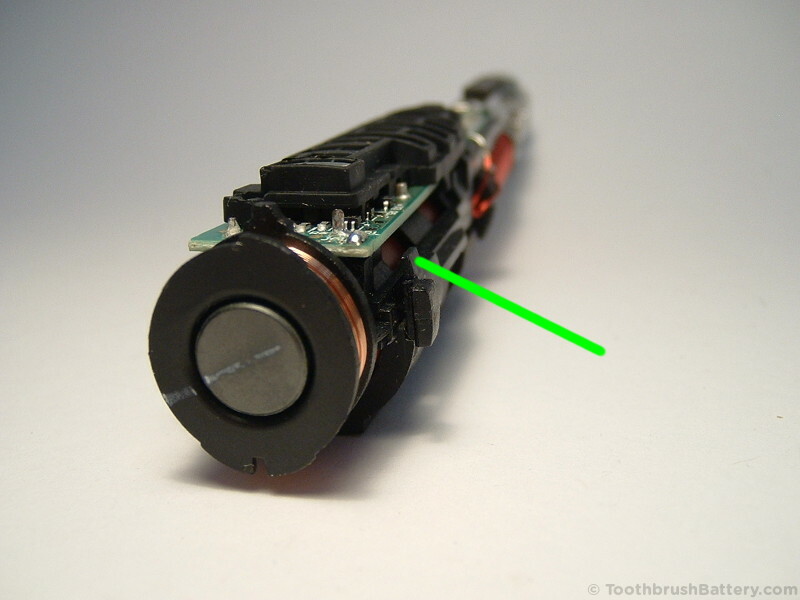 You can slide the screwdriver in just above the black plastic block to release the clip. 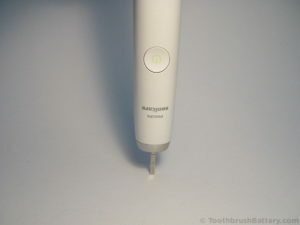 Push the handle down hard, shaft first, onto a solid surface. 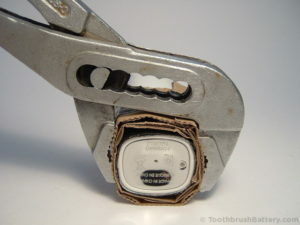 This might mark the surface so use a scrap of wood or something outdoors! 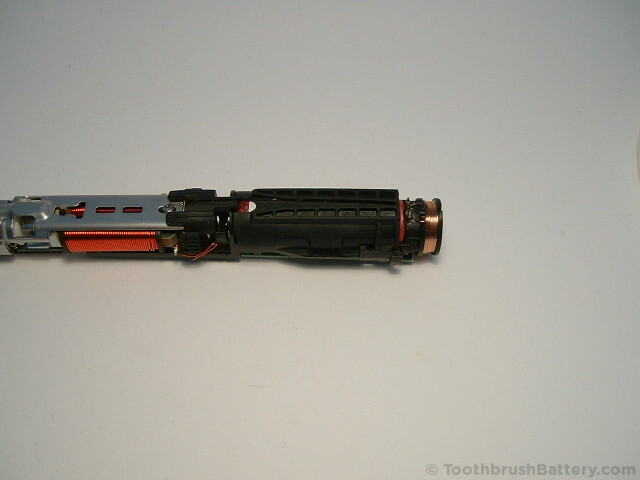 The inner workings of the brush should start to slide out. 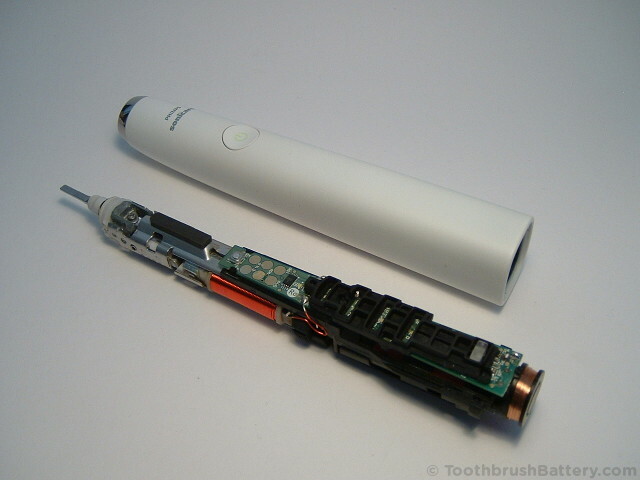 Fully slide out the innards of the toothbrush. You can see the original battery in-situ. 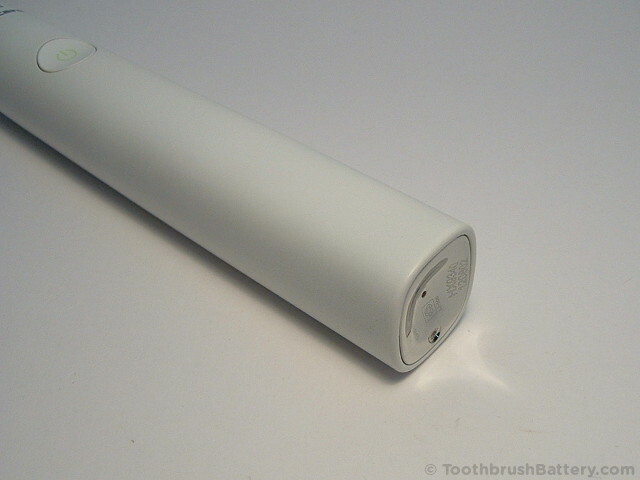 This DiamondClean is fitted with a Sanyo battery. 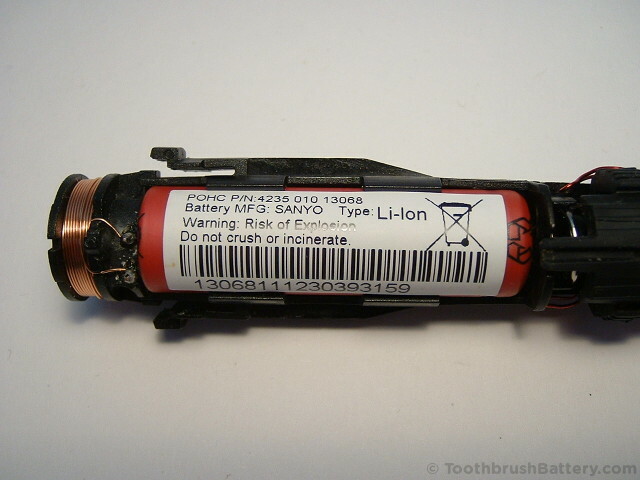 The label shows part number POHC P/N 4235 010 13068, Battery Mfg Sanyo and Type Li-Ion on it. 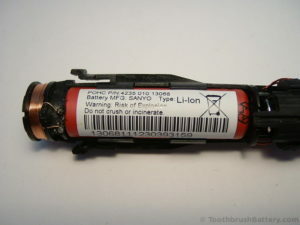 Yours might have a different label showing a different part number such as POHC P/N 4235 010 15362 and/or Battery Mfg Sony but it should still be a Li-Ion type (Lithium-Ion.) 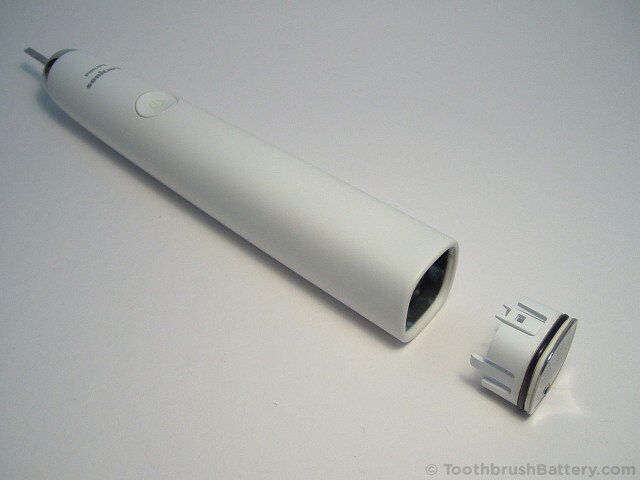 The Sony and Sanyo batteries are interchangeable so you can fit either to your toothbrush. The Sanyo batteries we supply are higher capacity so they will run for longer before needing to be recharged. 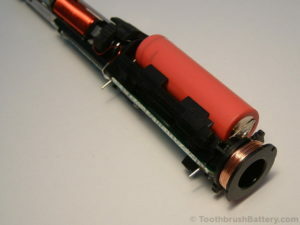 And JP1 which disconnects the battery (arrowed below.) This is very important due to the volatile nature of Lithium-Ion batteries. 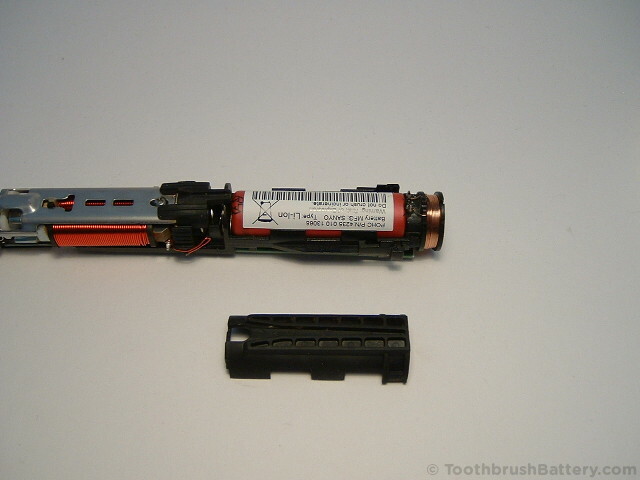 It also takes away some risk of shorting out the battery when we remove it. 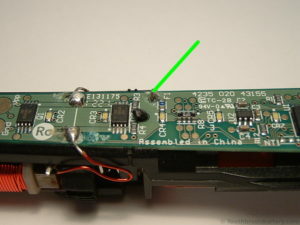 Warm up your soldering iron and using a solder sucker, braid or just by carefully moving the solder blob break the join between the two pads of JP1. 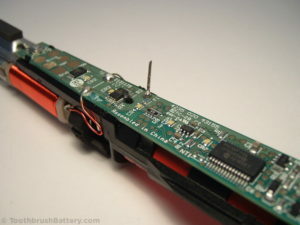 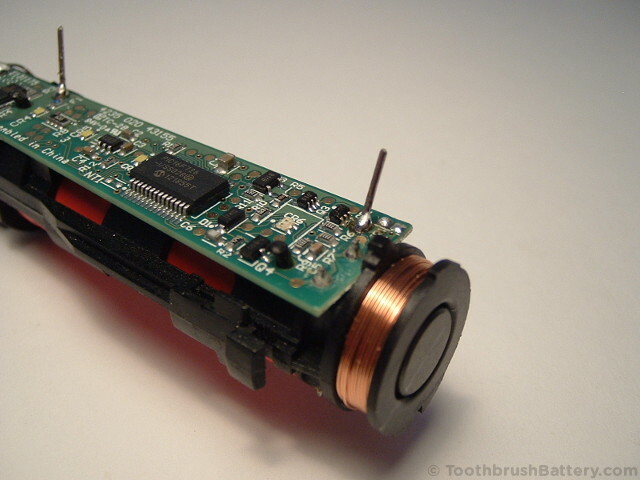 Using the solder sucker or braid, de-solder the positive battery terminal so that the metal pin can be moved inside its hole. 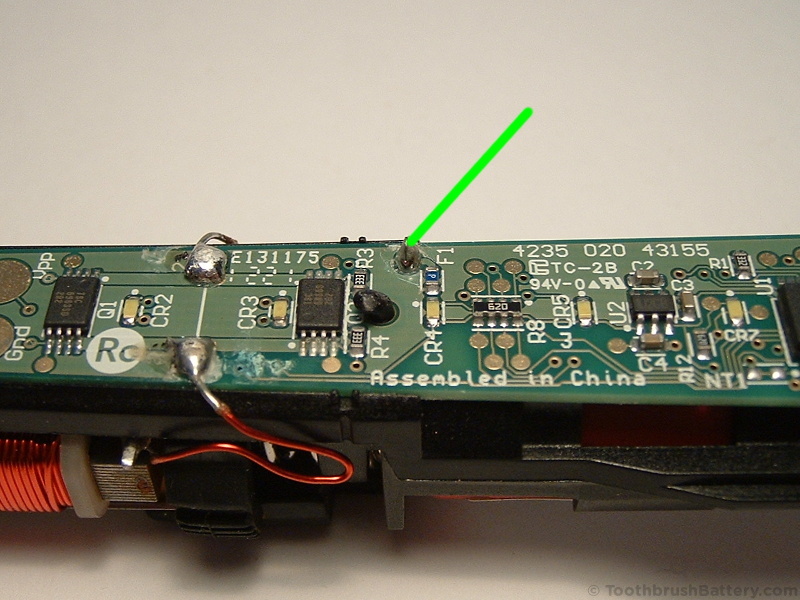 You might find that you need to simultaneously pry the battery out slightly at that end while the solder is molten to make sure the solder doesn’t solidify back onto the solder tag. 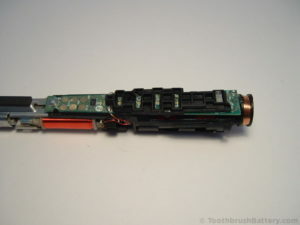 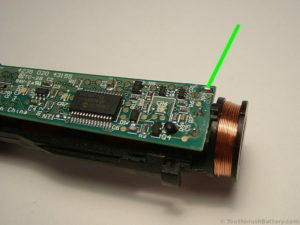 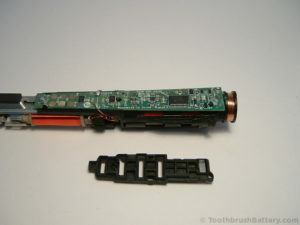 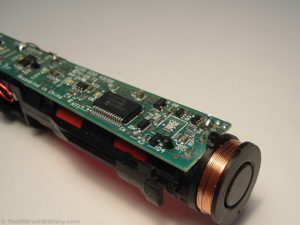 In the same way, using the solder sucker or braid, de-solder the negative battery terminal so that the metal pin can be moved inside its hole. Again, you might find that you need to simultaneously pry the battery out slightly at that end while the solder is molten. 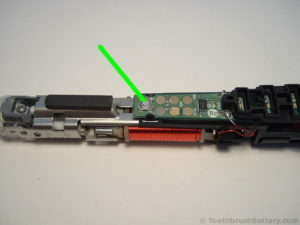 Remove the old battery from its holder and clean up the holes in the circuit board to make sure they are clear of solder, ready for the new battery to be fitted. 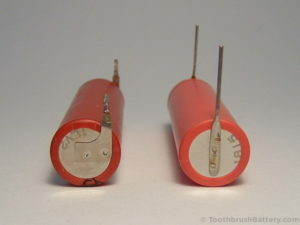 Compare the original battery to its replacement. The replacement battery shown is a Sanyo 49mm long by 14mm diameter 3.7V Lithium-Ion battery and is available from our secure online shop at ToothbrushBattery.com. 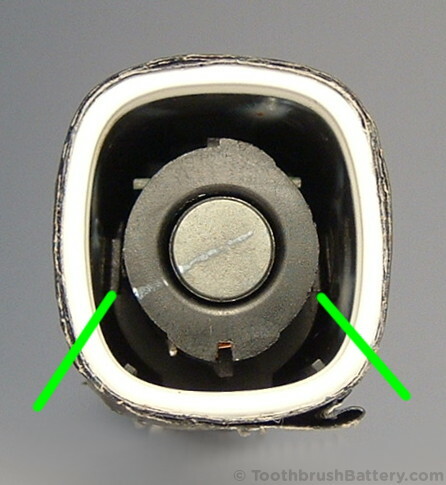 Note the groove around the circumference of each battery – this is at the positive end of the battery. Insert the new battery into its holder with the pins at an angle so they line up with the holes in the circuit board. Make sure you get the polarity (+/-) correct! Remember that the groove around the circumference of the battery is at the positive end. Push the battery right into its holder so the pins go through the circuit board. Turn the brush over so you can see the circuit board. 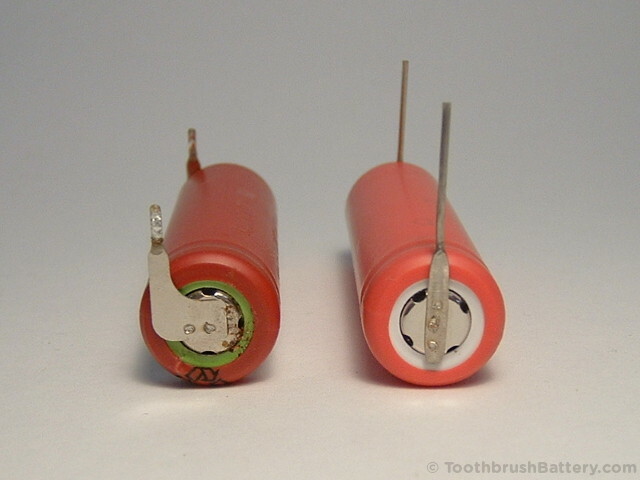 Making sure that the battery is still firmly in its holder, solder both battery pins in place. Using miniature side-cutters cut the pins off just above the solder joints. 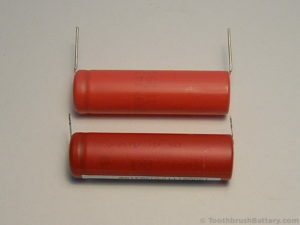 Re-join the two solder pads of JP1. You might find that some of the (very bright!) 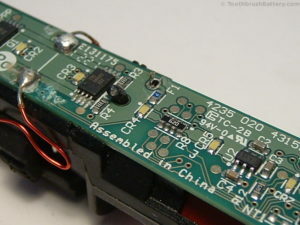 LEDs light up at this stage. You can also hold the toothbrush over its charger for 10 seconds to verify that it starts to charge up correctly. 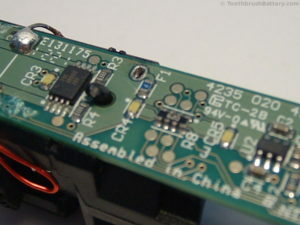 Re-fit the protective rubber spacer over the circuit board, ensuring the moulded clips at the sides go over the circuit board. Re-fit the protective rubber spacer over the battery, ensuring the moulded clips interlock with the plastic frame. 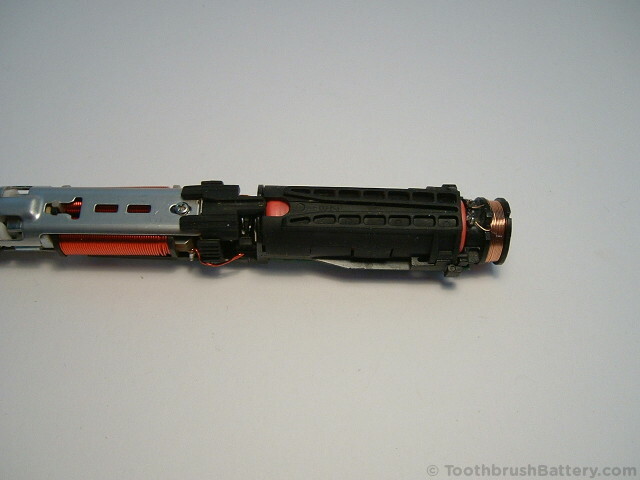 Carefully but tightly hold the toothbrush around the rubber spacers. 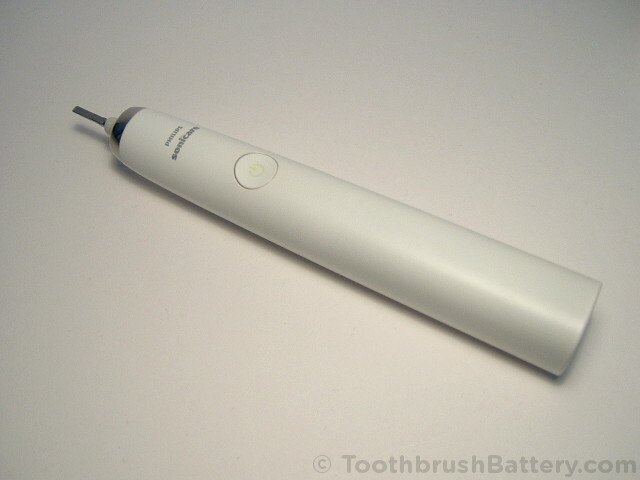 You can now try switching on the toothbrush to test it by pressing the power switch arrowed below. Be aware that it will vibrate strongly! Switch it off again after a second or two. 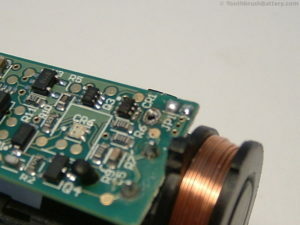 The LEDs might stay lit for a while after testing. If the brush will not switch on go back and check your soldering of the battery connections, the soldering of JP1 and that the battery was fitted the correct way around. 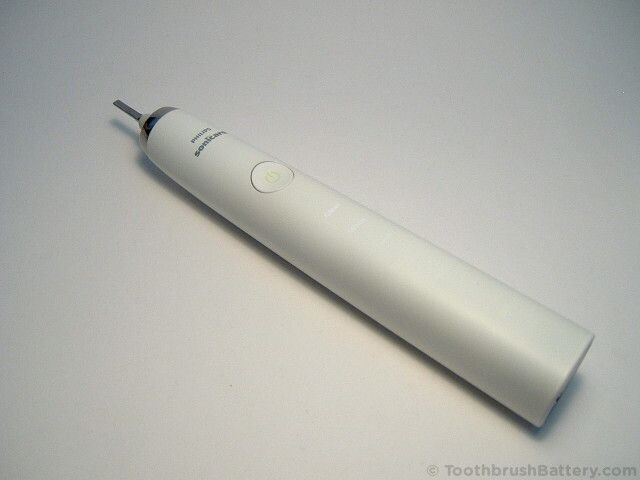 Also check that the charging light comes on when the toothbrush held over the charger. Slide the inner workings back into the handle casing. Make sure the innards are the right way up and that they slide in easily along the alignment splines moulded inside the casing. The inner workings should slide all the way in. 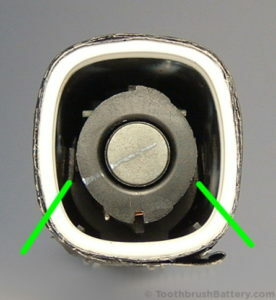 Line up the tiny grooves in the base cap (see below) with the splines in the casing (they are at the back of the casing) and push the cap in. It should click into place. You should now have a fully repaired and reassembled Sonicare DiamondClean toothbrush! 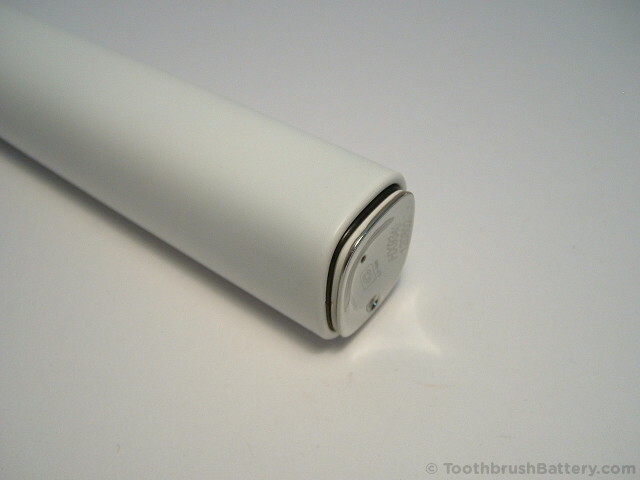 Put the brush on to charge for a full 24 hours and check that the charging light starts to flash. 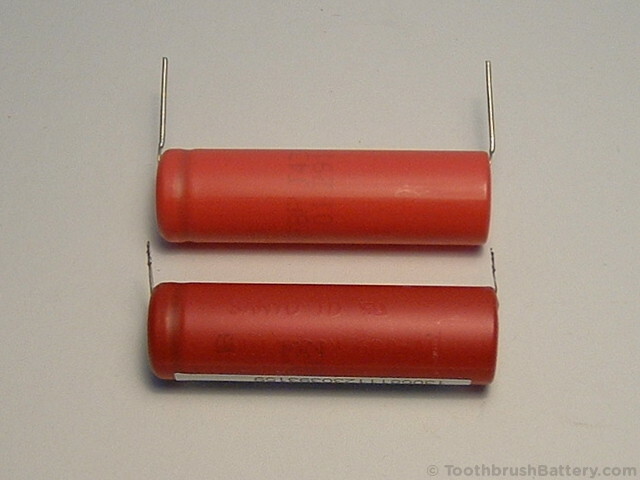 Please recycle your old battery either at a local civic amenity or a supermarket collection point. Please leave any questions or comments about this guide on our dedicated blog post.